The term "crank" refers to any form (chunks or fine or coarse powder). It can be off-white to yellow in color and supplied loose (in plastic or foil bags) or in capsules or tablets of various sizes and colors. 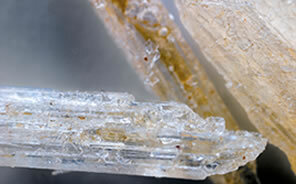 "Ice" is a crystallized smokeable chunk of meth that produces an intense reaction. Ice has an appearance that is clear and crystal-like and resembles frozen water; hence the name ice. "Yaba" is a combination of methamphetamine and caffeine. Yaba, which means crazy medicine in Thai, is produced in Southeast and East Asia. The drug is popular in Asian communities in the United States and increasingly is available at raves and techno parties. Yaba is sold as tablets. These tablets are generally no larger than a pencil eraser. They are brightly colored, usually reddish-orange or green. 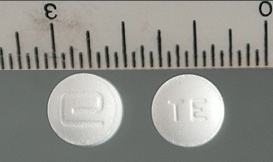 Yaba tablets typically are consumed orally. The tablets sometimes are flavored like candy (grape, orange, or vanilla). Another common method is called chasing the dragon. Users place the yaba tablet on aluminum foil and heat it from below. As the tablet melts, vapors rise and are inhaled. The drug also may be administered by crushing the tablets into powder, which is then snorted or mixed with a solvent and injected. 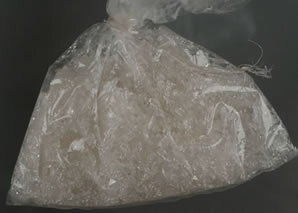 "Ice" is a smokeable form of Methamphetamine. 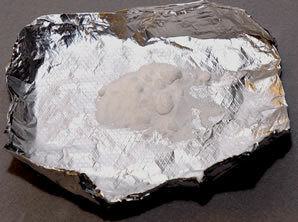 There are a number of different types of designer drugs that have effects similar to that of methamphetamine. Methcathinone ("khat", "Jeff", "Cat") is a synthetic "amphetamine-like" drug. Another designer "amphetamine" known as MDMA, Ecstasy, E, Adam and M& M, is frequently used at "rave parties."